UW-Extension increases local officials’ knowledge and decision-making abilities by providing facilitation resources and educational programs. Local officials often request assistance of the UW-Extension Office in helping boards and committees understand their specific roles and responsibilities, such as open meeting or records laws. In order to determine the best approach for promoting countywide tourism that has the widest base of support from the many identified interest groups, the County Education & Culture Committee instructed UW-Extension to undertake the Washington County Tourism Initiative. View the Washington County Tourism Initiative. The Local Government Center is a multi-disciplinary unit of the University of Wisconsin Extension supported by the Wisconsin Counties Association, the Wisconsin Towns Association, and the Wisconsin League of Municipalities. The Center offers training workshops, educational teleconference network (ETN) programs, publications, and fact sheets in the areas of community planning & design, growth management, local government official education, disaster management & recovery, barn preservation, and downtown business improvement programs. The Washington County Web site lists the departments, services, meetings, and minutes related to county government. Contact information for all 20 local communities within the County as well as rosters of elected and appointed officials is also available on the site. The Wisconsin League of Municipalities is an association of statewide municipalities providing a clearinghouse of information, lobbying efforts, and legal assistance. 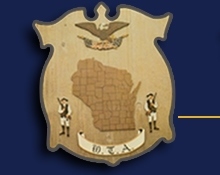 A statewide organization promoting the interests of towns, town government, and small villages is the Wisconsin Towns Association. Serving Wisconsin’s seventy-two counties is the Wisconsin Counties Association, whose goal is to further better county government and protect the counties’ interest.